Free BTC faucet, get free BTC every 24 hours, learn about Bitcoins, or just discover some new faucets! Minecraft In-Game Casino with BTC deposits and Withdrawals! Free mBTC, BTC, faucets! With the price of bitcoins skyrocketing, mining is suddenly big business, so enticingly big that one wannabe miner was willing to pay a 1,333 percent premium to get his (or her) foot in the door of this wildly lucrative bitcoin bonanza. Ladies and gentlemen, welcome to the bitcoin gold rush. The craziest part? This wasn’t an auction for a physical, working, ready-to-ship bitcoin mining machine from Avalon, which claims to be the first to develop turnkey, bitcoin-specific mining computers for sale. For $20,600 (bidding started at a reasonable $500), the lucky winner only received a place in line and the promise that an actual (pre-ordered) miner will be delivered sometime next month. If that sounds ridiculous, well, it’s because it quite possibly is. But clearly there are bitcoin-savvy folks betting that paying 13 times the price of a machine will actually pay off. How did we arrive at this maniacal juncture? Was it greed? Stupidity? Or simple mathematics? For the full story, we’ll have to start from the top. In order to keep a record of everything, bitcoin has a ledger known as the “block chain,” a shared database of all successful transactions. Every transaction that occurs must be broadcast to the bitcoin network and everyone connected to the bitcoin network has a copy of the block chain. 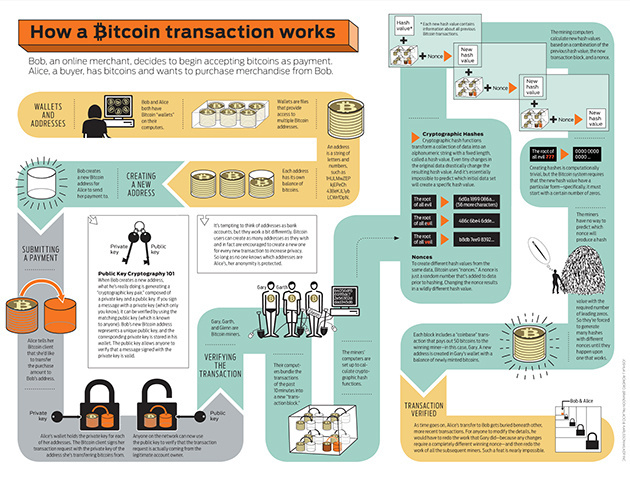 Click to enlarge: How bitcoin works, by Joshua J. Romero, Brandon Palacio & Karlssonwilker Inc. The purpose of bitcoin miners is to verify these transactions and then add groups of transactions, called blocks, to the block chain. This process occurs roughly every 10 minutes. 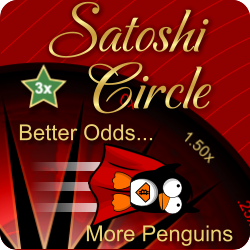 For every block added, the successful miner receives a certain amount of bitcoins for his troubles, plus transaction fees. The reward started out at 50 bitcoins, but it's cut in half every 4 years. Right now, you get get 25 bitcoins for every block mined. Anyone can technically become a miner. The software is ready to download, all you have to do is contribute raw computing power, which means your main recurring costs are electricity bills. If you solve the next block, the spoils are yours. The more processing power at your disposal, the greater your mining ability. But here’s the kicker. Built into the model is a “difficulty” metric, which is recalculated whenever 2016 blocks are added. 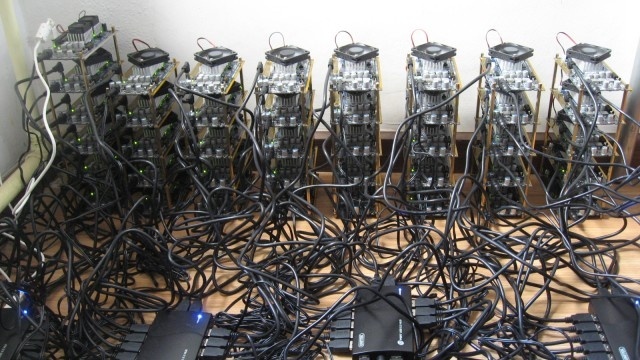 As the speed of mining goes up (as more processing power is added to the system), the difficulty will increase proportionately to compensate in order to maintain the rate of one block every 10 minutes. Back in 2009, when Satoshi Nakamoto first birthed bitcoin, mining difficulty was relatively low, which meant that anyone could download the software and more or less start mining with only their CPU. The next logical step was the GPU, dedicated graphics chips usually reserved for gaming. A graphics card from the likes of Nvidia or ATI offered a significant boost over Intel and AMD CPUs. 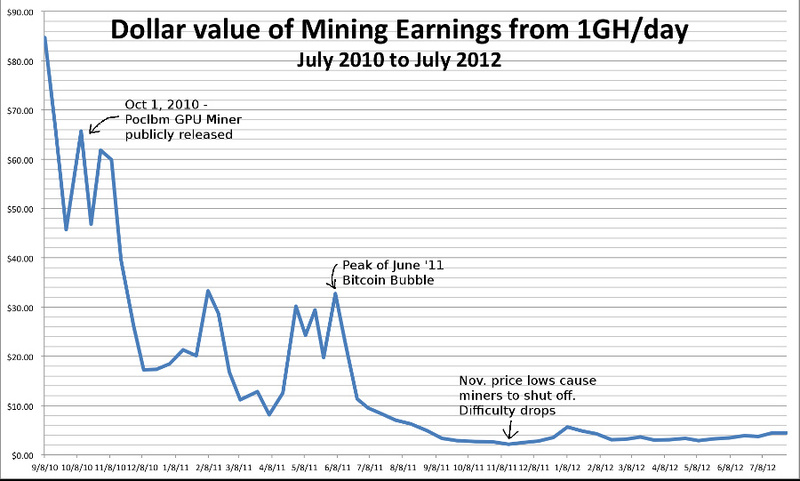 For about $150, you could buy an off-the-shelf graphics card and start a fairly profitable mining business in mid-2011. 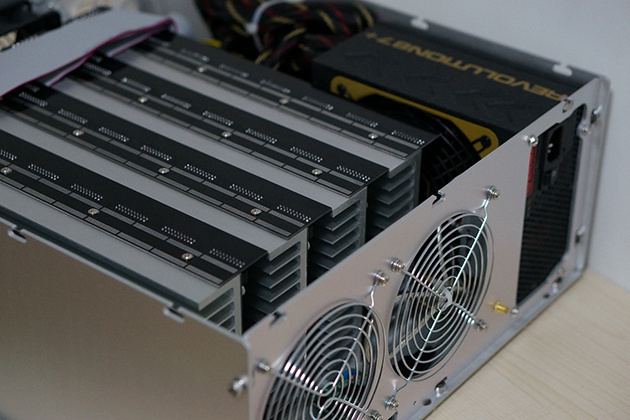 As more miners joined the party, difficulty increased, making the profit to power consumption ratio unpalatable for those used to a higher rate of return. Bitcoin's price collapse in July of 2011 only exacerbated the situation. Even if you believed in the future of bitcoin, if you spent more on your electric bill than you made from mining, you were better off just buying bitcoins. This initiated the advent of FPGA, or field-programmable gate array, use in mining. That's a mouthful for the technical layman, but all you really need to know is that these add-on cards, which cost in the hundreds of dollars, offered comparable mining performance to GPUs while using way less power. Better energy efficiency meant higher profit margins. Eventually, any self-respecting miner was FPGA-equipped. The endgame, however, was always going to be the ASIC, an application-specific integrated circuit–in other words, a chip designed from the ground up for the specific purpose of mining bitcoins. The result is a system that is not only incredibly powerful compared to anything else, it’s also exceedingly energy efficient. ASIC also represents the theoretical limit on the hardware capabilities of mining equipment. Sure, you could keep shrinking the die-size of the chip so that it uses even less power, but even that road eventually ends. It’s simple physics: things can only get so small. Until quantum computing arrives–if it ever does–for bitcoin miners, using ASICs is the way to go. For a while, the bitcoin ASIC was a pipe dream. Designing and manufacturing your own chip requires significant upfront investment. With bitcoin’s future still uncertain, many figured FPGAs would be the best hardware miners ever got. Then, last summer, a company called Butterfly Labsstarted taking pre-orders for fully functional ASIC systems for $1,299 and promised to ship in October. Another company, bASIC, started taking pre-orders soon after. As with most things bitcoin in these early days, the whole ordeal was contrasted by wild enthusiasm and lingering fear, uncertainty, and doubt. The guys from bASIC ended up running with the money (although it appears they have been attempting to give partial refunds). Meanwhile, Butterfly Labs, after numerous delays, has still yet to ship anything, although it’s generally believed that they eventually will. Only one company followed through. Avalon started taking orders in September, promising delivery sometime in February. That first batch of 300 pre-orders sold out within hours. 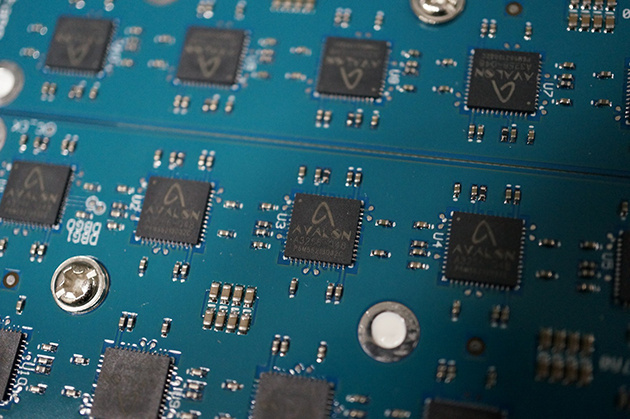 By the end of January, Avalon shipped their first two units from China just before the new year's festivities, effectively becoming the world’s first ever company to produce an ASIC bitcoin miner. ASICminer, another major developer went online in February as well, although these units were never sold to the public (but you can buy shares in the company). A new era had begun. Garzik made back the cost of the $1,299 ASIC bitcoin miner in about a week. The remaining units from batch one were delivered by the end of February. Having gained some credibility and silenced the trolls, Avalon started accepting orders for batch two, which totaled 600 units at a cost of $1,499 each. Batch two pre-orders sold out within 20 minutes. Those units are scheduled to complete shipping by the first week of April. But while miners in batch two will still do well for themselves, they’ll be doing less well than batch two over time as difficulty inevitably ramps up. Which finally brings us back to our exuberant eBayer, the one who paid over $20,000 to cut in line and join the other batch two early birds. Is the worm really worth an $18,500 premium? Only time will tell. But if the price of bitcoin continues its meteoric rise, he too, will eventually mine his money back, sooner rather than later. 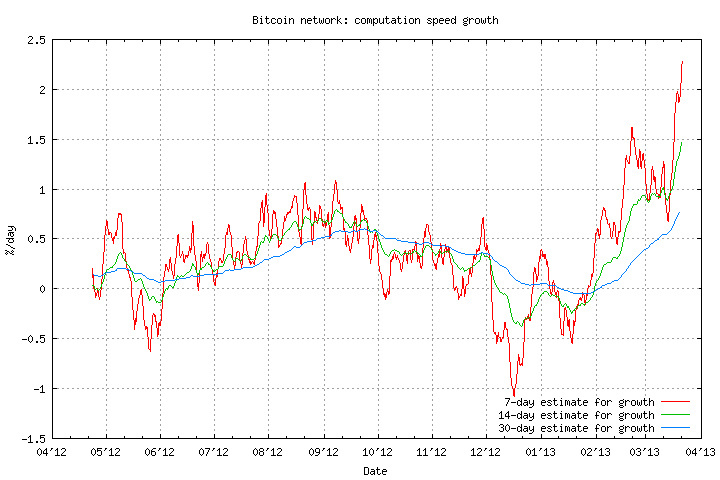 Under current conditions, he'll break even in 50 days, with daily revenues of $434.12, according to BitcoinX. All things considered, not too bad. Granted, it's impossible to know how bitcoin will perform in that time. We do know however, that he'll be in for some stiff competition and with it, the reality of diminishing returns as more ASIC units flood the system. Butterfly Labs–rumored to have sold over 20,000 pre-orders as of a month ago–is expected to start shipping in May or June. Still chugging along, Avalon revealed it would start taking orders for batch three in the next few days. This time around, one of the 600 Avalon miners will cost ~75 BTC (the batch three price of the systems will be calculated so that break even point will be 30 days, once the difficulty resets), which comes out to over $5000 with bitcoins trading at ~$70. If that seems pricey–it is nearly five times the price of an identical unit from batch two–it’s still only a fraction of the market value. And really, there are few other businesses whose start-up costs are designed to break even in just a month. Such is the insanity of bitcoin mania. I offer ad spaces on my website. If you are interested, Email Me (aliwazwaz16@gmail.com) Prices are negotiable, same with the ad spaces themselves. 5 FREE mBTC IN A MINECRAFT IN-GAME CASINO! THE FAUCET IS FINALLY OPEN! Can the Bitcoin Craze Outlast Looming Hurdles?